Career changers and job seekers worry about getting their foot in the door. Freelancers wonder how they’ll get more clients. And ordinary workers everywhere are asking themselves: what can I do to protect myself from a layoff? While there are never any guarantees, I think the best answer for all of those situations is the same: show some initiative. 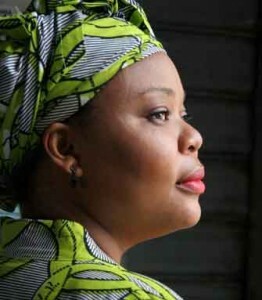 Leymah Gbowee took the initiative to organize women across religious and ethnic lines, to bring an and to war. I can see you all shaking your heads now. What’s new about that idea? Tell me something I didn’t know! I may not be telling you something you didn’t know, but chances are, I’m telling you something you aren’t doing. Initiative, in my experience as a manager, business owner, and consumer, is pretty rare indeed. The following are a couple of examples of how initiative can pay off big time. And how you might employ the idea to accomplish your own goals. Marsha Stopa had a pretty bad year and then some. She was laid off from her job as a business journalist after 20 years, then went through bankruptcy, and then finally foreclosure. She had seen many former journalists struggle to apply their skills in a new field after losing their jobs, and she was determined not to let that happen to her. So with the money she would have been paying in rent and the small amount she earned in unemployment, she invested in herself. She took training classes in internet marketing, WordPress set-up, social media, and membership sites. It was slow going. As Marsha admits, she made every newbie mistake in the book. Then she had an idea. Marsha had watched another woman in one of these courses offer to become the forum moderator and assistant, and noticed it subsequently opened a lot of doors for her. Marsha was enrolled in Jon Morrow’s Guest Blogging program, a course I took myself and am always quick to recommend (affiliate). Jon was often busy, so Marsha simply started answering forum questions and taking care of the community when he wasn’t available. Jon noticed her initiative and hired her as a part-time forum moderator and assistant. Of course, Marsha’s not stopping there. She’s created two new sites of her own: one as a business copywriter, drawing on her prior experience as a journalist, and has plans to launch a blog called The Realigned Life, which will share her lessons learned after bouncing back from unemployment. When you see what she did, it seems so easy and obvious. But every day, people follow the same old system of submitting resumes, hoping a piece of paper can serve as their ambassador. When I started blogging, one of the big inhibitors for me was the technology side of things. I had (and still have) some pretty strong anti-passions in learning about plug-ins and video editing and really anything that happens behind-the-scenes on a blog. I can’t tell you how many times I wished someone would just freaking help me. Last week I had the pleasure of having tea with the legendary Niall Doherty, who quit his 9-to-5 job to travel around the world (“conveniently” without flying to any of his destinations). To make that work, he needs to make money. But he’s such a nice guy, he wasn’t pitching anyone – it felt like an intrusion. As I described my frustrations, it was an a-ha moment for Niall. He realized that solving someone’s problems isn’t an intrusion at all. Quite the contrary. Moreover, taking the initiative to do so is relatively rare. Thousands and thousands of people read my blog and watched my free training at the No Regrets Career Academy. If you’re reading and watching what I’m doing, you could probably come up with a list of twenty things where I could use help. I’ve been pitched a total of 3 times, and only once for a specific need. Getting more clients is easy. You simply ask for them directly (and smartly). Efficient? Maybe not. But very effective. Obviously, there are times when nothing can protect you from a layoff. I know several good employees who were literally in the wrong place at the wrong time. But I can also say that initiative is in short supply in the workplace. Sometimes this is because everyone is so busy conquering their own to-do lists, as admin and other support functions get eliminated, it’s hard to step back and see where you could do something more valuable. If you want to find a way to stand out, this is absolutely the best way to do it. Because in this economy, the proactive employee saves the company time and money, while hopefully also providing fresh innovation. One of my clients recently told me the story of how she noticed her company didn’t have any recycling programs, even though they branded themselves as being “green.” Being a big environmentalist herself, she involved other employees and got a program in place. Seem like a small contribution? She was awarded Employee of the Year. Too many people wait around, hoping to be picked or anointed or put in charge. They’re always waiting for someone else to give them their power. I don’t think the problem has much to do with the innate ability to initiate. I think it has to do with believing that it’s possible and acceptable for you to do it. We’ve only had these doors open wide for a decade or so, and most people have been brainwashed into believing that their job is to copy edit the world, not to design it. There’s a huge shortage … a shortage of people who will say go. Are you ready to take your work to the next level? Don’t wait for anyone’s endorsement. Jennifer Gresham is our guest blogger, and has been leading the way to greater happiness by overhauling her own life first, and only then, sharing with her audience how to do likewise. Follow her at her blog http://everydaybright.com. Tell us in the comments one smarter way that you can commit to getting some more initiative in your step, TODAY! Great topic! Your examples were good but to go hand in hand with your eblast title “Three Nobel prize winners showed us the power of taking initiative…. how bout you?” the story of Mrs. Leymah Gbowee, this year’s Nobel Laurette, would, in my opinion, be a more compelling example.